When silence and display of tolerance are the only medicines that can heal the wound of Gautam Buddha Nagar’s Bisara village, the lawmakers are doing nothing to ensure the return of normalcy. Surprisingly, Chief Minister Akhilesh Yadav on Friday dared Prime Minister Narendra Modi to impose a blanket ban on export of beef. “A rumour may pass unnoticed. But it can also play havoc. They are taking up this issue. They also talk about pink revolution. We want to ask why they don’t ban its export?” he asked in a public meeting in Lucknow. “They have come to power with a majority. He is roaming across the world and marketing the country. He must think what the people of those countries eat from morning to evening. I don’t want to make any comment. But he should take up this issue with the world community and ban its export completely,” Akhilesh further said without mentioning the name of the PM, with whom his father and Samajwadi Party (SP) president Mulayam Singh Yadav has recently developed political proximity. Akhilesh added saying India is a country of 125 crore population where people have liberty to lead their lives according to their wish and nobody should try to interfere into it. But the chief minister, who had come to power in 2012 with the vote of over 19 percent Muslim population in the state, remained silent on the demand of the family of Mohammad Ikhlaq to order a probe by Central Bureau of Investigation. 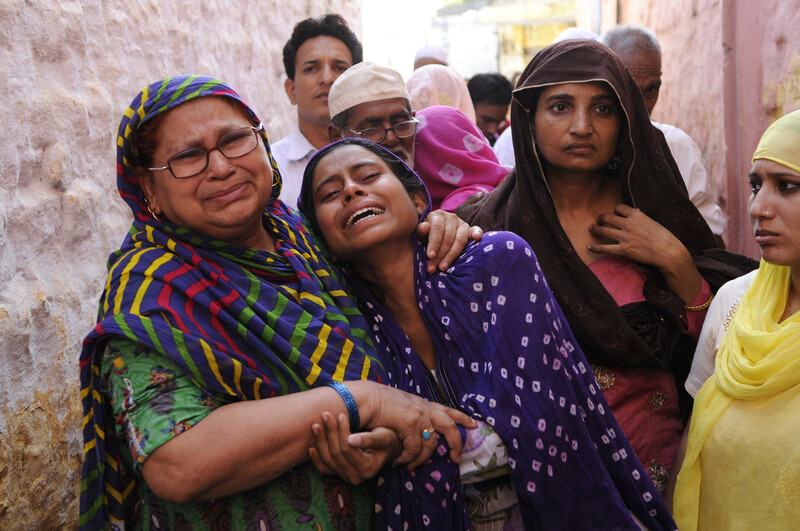 Ikhlaq was lynched to death by a mob alleging that he had sacrificed a cow and his family consumed it for dinner. His injured son Mohammad Danish (21) is on ventilator in Noida’s Kailash Hospital. Cow butchery and sale of beef are cognisable and non-bailable offence in UP under Prevention of Cow Slaughter Act 1955. However, this act doesn’t cover flesh imported in the state in sealed containers and sold in open market. The act also allows bull slaughter after obtaining a “fit-for-slaughter” certificate which is given if the cattle are over the age of 15 and not fit for agricultural works and breeding. The CM was apparently trying to remind Modi how he had targeted the previous Congress-led UPA government during 2014 election campaign, blaming them for encouraging pink revolution-expansion meat export to other countries.